SPRINGFIELD, Mass. 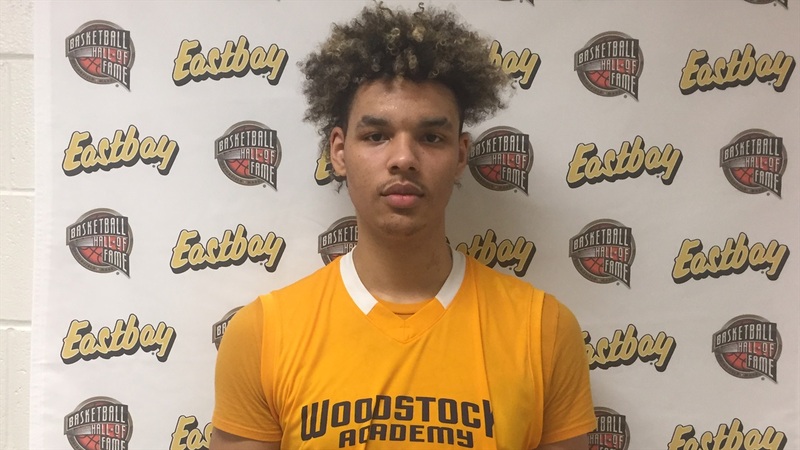 – Tre Mitchell felt like he hadn’t been playing his best coming into the HoopHall Classic here at Springfield College this weekend, but he changed that, scoring 26 points and grabbing 13 rebounds in Woodstock Academy’s 89-79 win over Montverde Academy (Fla.) on Sunday. The win was the 26th straight for Woodstock. As for recruiting, Mitchell has dozens of offers from some of the nation’s top programs, including Notre Dame, UConn, Louisville, Illinois, Iowa State, Pitt, Xavier, Georgia Tech, Minnesota, Vanderbilt and Tennessee among others. “Right now, I’m just keeping everything open and letting people come in as they please, just seeing where it goes,” said Mitchell. Mitchell took an official visit to South Bend back in September. A week after the trip to Notre Dame, he took an official to UConn. Mitchell said new schools are still coming in, but declined to list them for fear of leaving anybody out. “Like I said, I’m still keeping everything wide open and letting everybody come in,” he reiterated. He’s also leaving his timeline for a decision open.